The official announcement from Royal Caribbean giving details of the innovative ship’s inaugural season itineraries referred only to voyages from home base in Bayonne, New Jersey to the Bahamas and the Caribbean. But the ship, to be built in Germany, will call into Southampton in November 2014 according to a sales brochure found elsewhere on a Royal Caribbean website by cruise enthusiast Patricia Dempsey (@linerlovers). The seven-night Transatlantic is scheduled to depart on November 2, 2014. 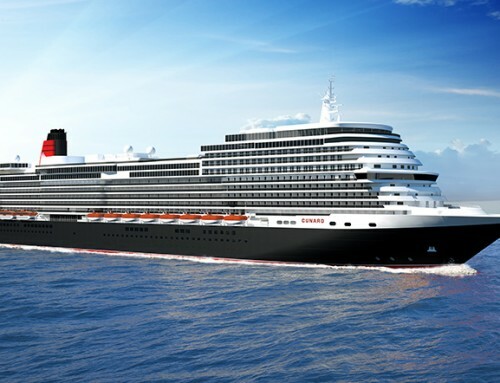 Following a series of welcome events in the US, the 4,180-passenger ship will undertake two three-night cruises into the nrth Atlantic. The official maiden voyage, on November 23, 2014, will be an eight-night cruise to the Bahamas, visiting Port Canaveral in Florida, Nassau, and Coco Cay. Ports of call on subsequent voyages to the Caribbean include Puerto Rico, St Maarten, Martinique, Barbados, St Kitts, and Royal Caribbean’s private resort at Labadee, Haiti. Destinations may be of little concern to passengers travelling on the ship in order to take advantage of its first-time-at-sea features such as sky-diving, dodgem cars and the North Star observation platform – looking like a London Eye capsule on the end of a cherry-picker. Bookings open to members of Royal Caribbean’s Crown & Anchor loyalty programme from Tuesday, May 28, and to the general public from June 4. No word from CEO and president Adam Goldstein about the visit to Southampton, but he did say: “We are proud to partner with some of the Caribbean’s top destinations for the inaugural season of Quantum of the Seas. 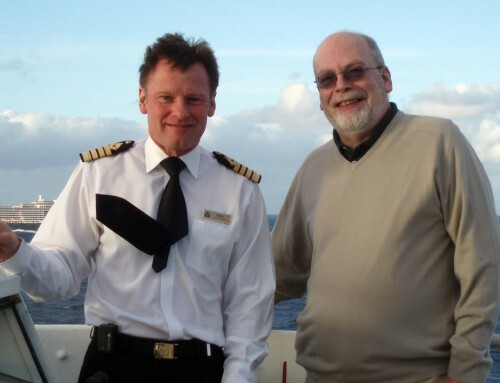 My husband and I have never experienced an inaugural or maiden voyage of any ship – we are considering in Quantum of the Seas in November 2014. I read that the maiden voyage is a 7-night transatlantic cruise from Southampton, UK to New Jersey on November 2, 2014 and the inaugural sailing is an 8-night Caribbean cruise on November 23, 2014. In the past, I had always thought that the inaugural sailing and maiden voyage are one and the same – so guess this is not the case. 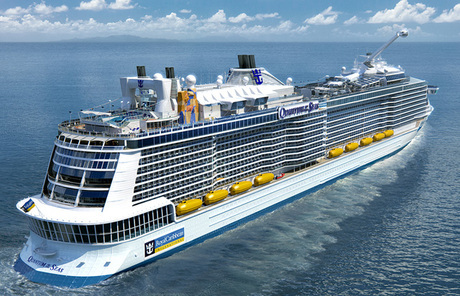 My question is: if we were to book one, which one should it be (the maiden voyage or the official inaugural sailing)? In other words, which is a better experience, which is more exciting, which has more perks, etc.?? Will await your reply. Thanks. Hi Coralyn. Gone are the days when “maiden voyage” meant a ship’s first sailing with paying passengers on board. Nowadays it is often a ceremonial event preceded by one or more inaugural sailings. For example, this week Royal princess is in the UK for a christening ceremony and will have sailed two short cruises before the official maiden voyage which departs on June 16.